So, I love this top! Lol. 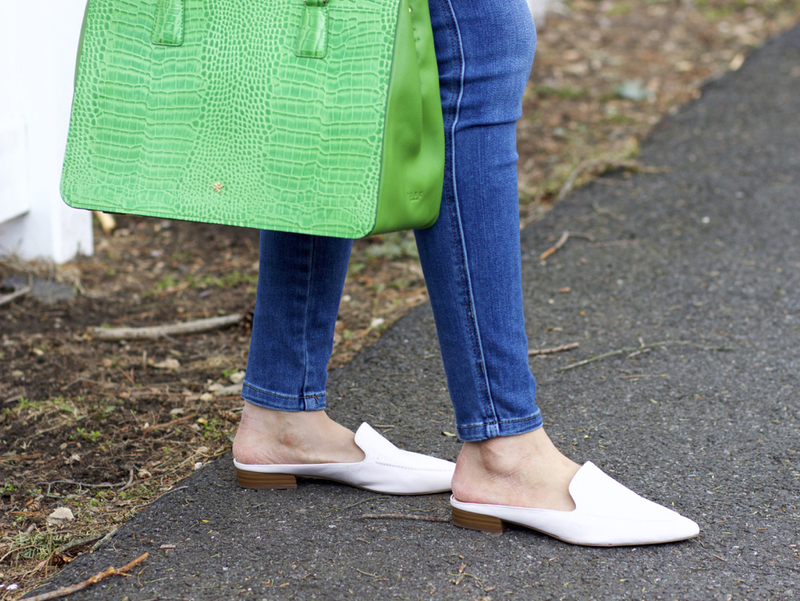 I wore it here on the blog last week (see here) and I couldn't resist wearing it again, yet in a very different way. Last week, I styled it with a green leather jacket. Today I'm styling it with a different shade of green in the form of a purse. Last Monday, some of you mentioned that you're not too fond of the color green and I totally get it. It wasn't my fave up until recently. If you just don't like the way it looks on you, I'd say the safest way to wear it would be in the form of a bag and you don't have to purchase a designer or luxury one, this is one you may want to save as much as possible on to ensure you'll love the way it works with your wardrobe. The reason I think a purse would be a good place to start is because though you're carrying it, you're not actually wearing it, so you're not fully committed to having it on all day long questioning if it looks good on you, though I'm sure it would; I mentioned the two specific shades of green that I feel are the most universally flattering in Monday's post. 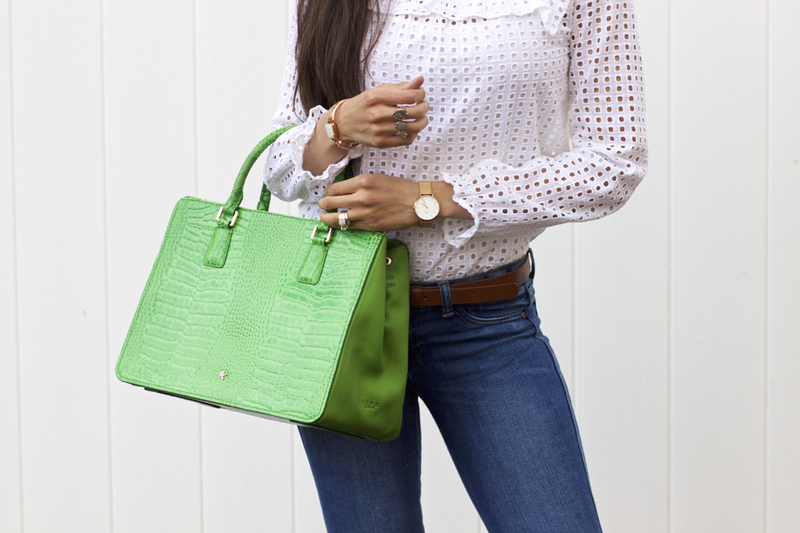 When it comes to spring details, eyelet is one I very much associate with the season, as it adds a very light and airy element to an outfit and is quite comfortable for when it warms up throughout the day. I also love the visual effect it adds to an outfit, having somewhat of a similar effect to polka dots, which we discussed yesterday, as well as the texture. 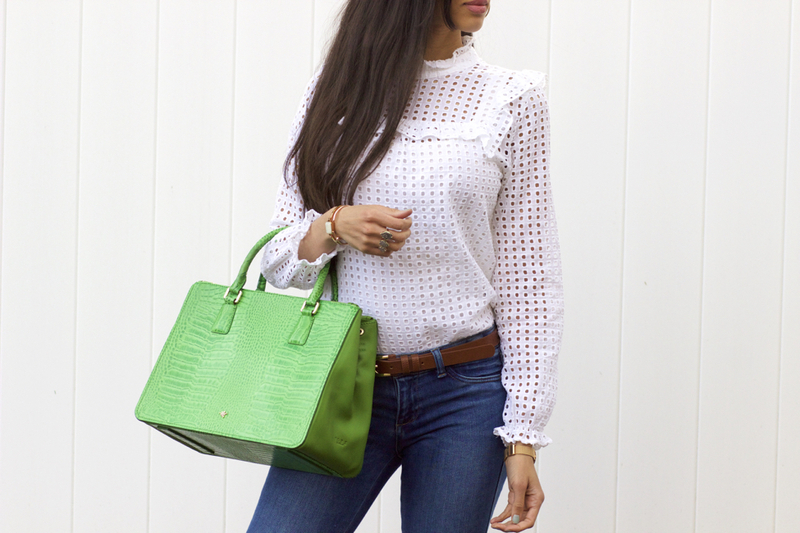 I love this top in particular above all the other eyelet pieces I own because I purchased it when I was very much pregnant with Aviah and of course wasn't able to wear it the entire season. It was the last in my size and I just had to get it (it's from the Who What Wear collection for Target). I waited for what seemed like forever to finally wear it, so it brings back memories of me being preggo :) I actually remember that shopping trip quite vividly, haha. 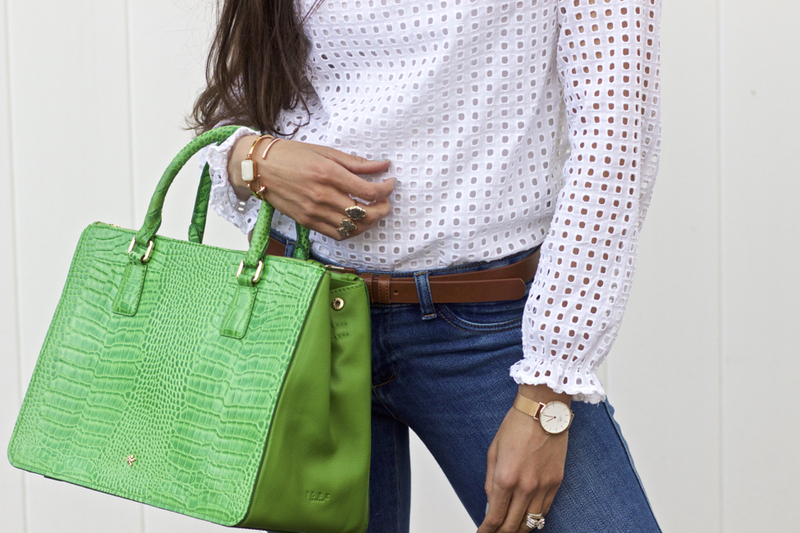 Do you own any eyelet pieces? Thanks for stopping by, my friends, and I can't wait to see you all in Friday's post! Next: Weekending Previous: The Polka Dot Trend 2018 + 20 Picks!